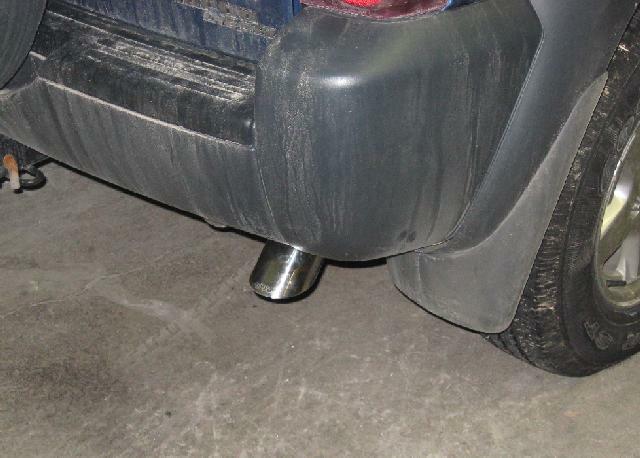 I was happy with the 3" side exit exhaust I put on the Jeep earlier this summer. It ran and sounded good. One small negative was the look where it went under the frame...it looked kind of hillbilly. 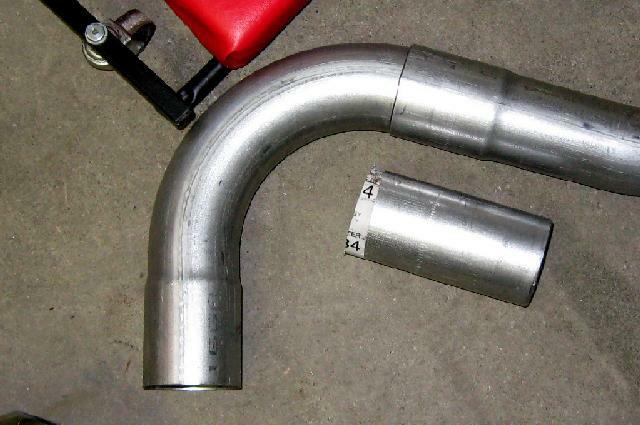 One day I noticed a post on the CRD forums that 'DarbyWalters' had had a 3" exhaust fabricated out of Flowmaster tubing. It looked good. 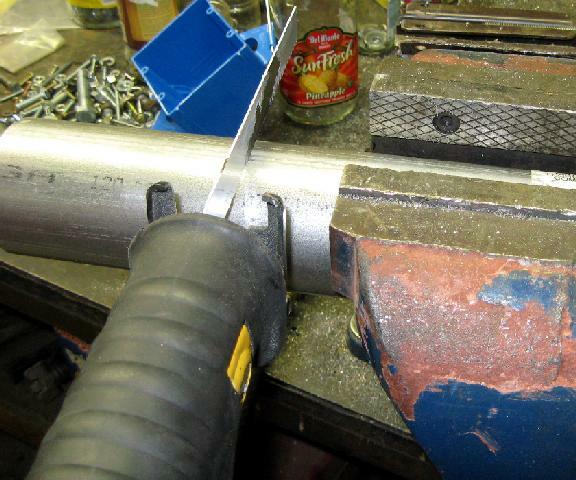 I found a 3" Flowmaster tailpipe kit at Summit Racing so I decided to undertake the same project. Here are the contents of the kit. 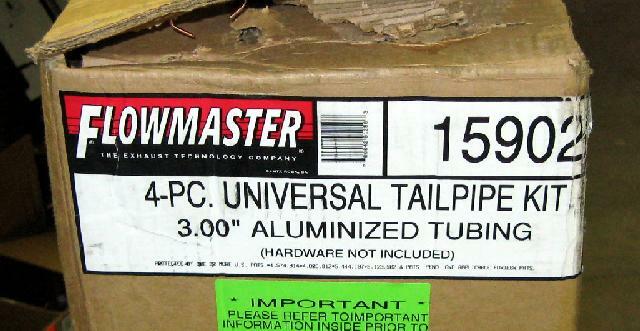 The Gibson stainless exhaust tip was ordered separately. Test fitting of the pieces revealed they wouldn't quite reach the muffler so I made the premuffler exhaust several inches longer. 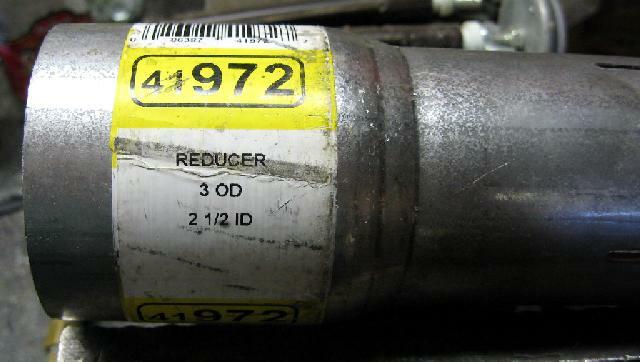 The 2 1/2" to 3" Flowmaster adapter is P/N 41972. 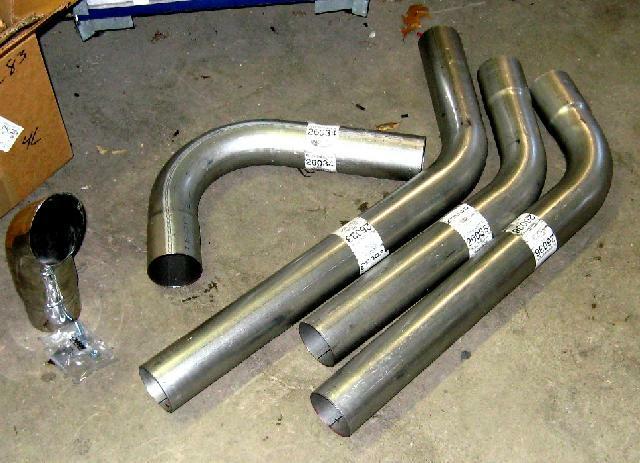 All the tubing required test fitting and some trimming using the Eureka metal saw. 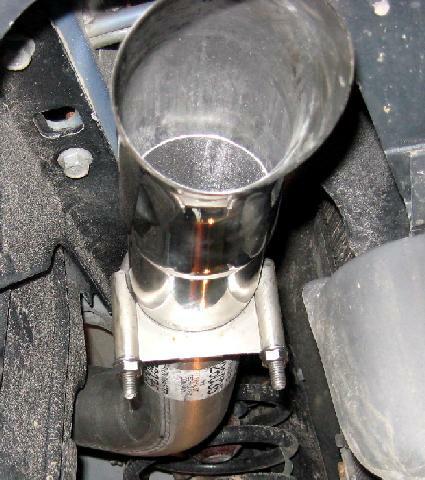 The exhaust was fairly easy to install. It took some time to fit and hang the pieces. 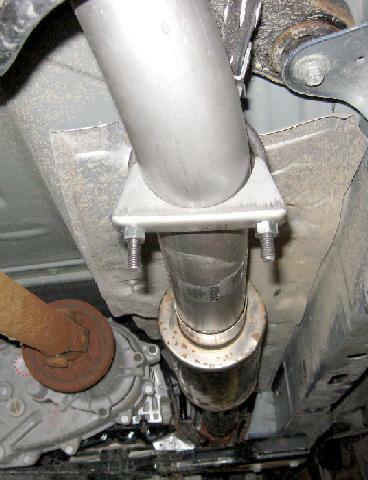 I used clamps on the muffler but welded the tubing joints. I used exhaust hangers from the factory locations. 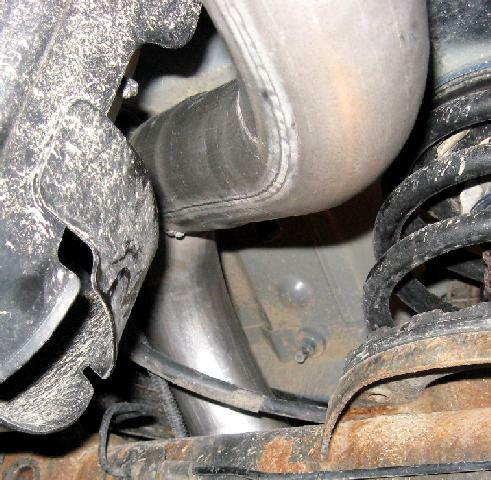 Although it looks tight in the picture there is actually at least an inch of clearance around the tailpipe. I have to admit the rear exhaust looks cleaner than the side exit. I don't notice any power loss and the sound is quieter in the cab.